In making the change, I took some pics in case anyone else is interested. So here's the procedure, along with a few tips and notes. It's not a difficult procedure but requires that you pay attention to the way you install the new chain/cables so they don't get twisted. 1. The new cables and drums are slotted for easier maintenance and tune ups. They are not interchangeable with the older parts. 2. If cables are installed incorrectly, they may twist off the drums, causing the Drive to fail. Tip: DO NOT REUSE Nyloc nuts when installing new cables. 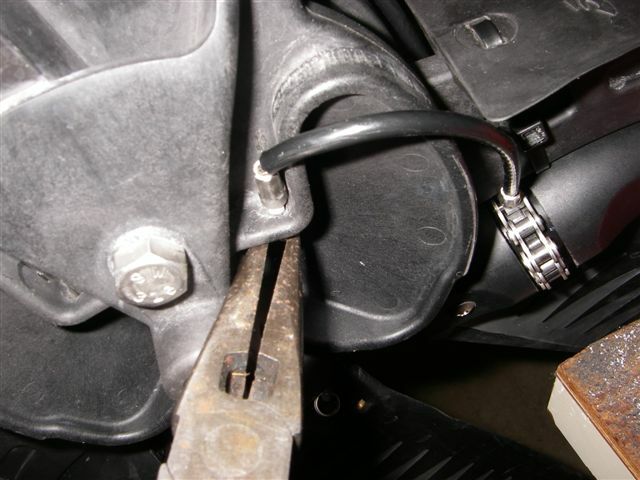 The slotted cable threads have 40% less area -- worn Nylocs may back out causing Drive failure or adjustment problems. 1. 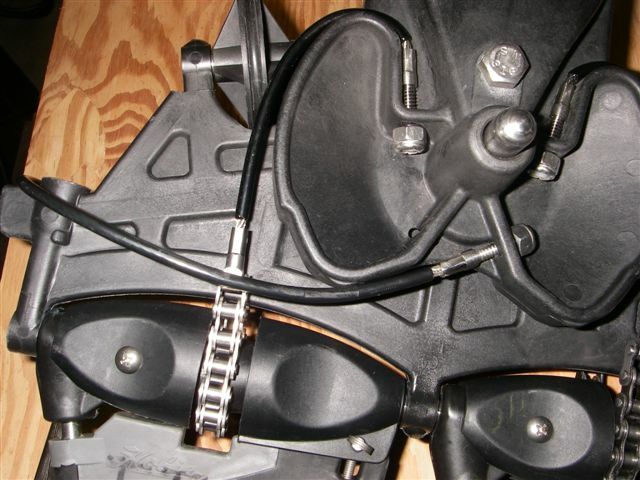 Install new chains / cables on sprockets, taking care to press chain solidly into master cog (Plastic sprockets only). This may be accomplished with the masts and fins on or off. Verify that chain is properly centered. (Tip: mark center link of chain with marking pen for easy placement). Note: there are two methods of assembling the cables to the new drums -- on the bench (3 through 7 "A" below) or with the drive properly mounted in a bench vise (3 through 7 "B" below). Each is described separately. Use which ever is easiest for you. 4 A. 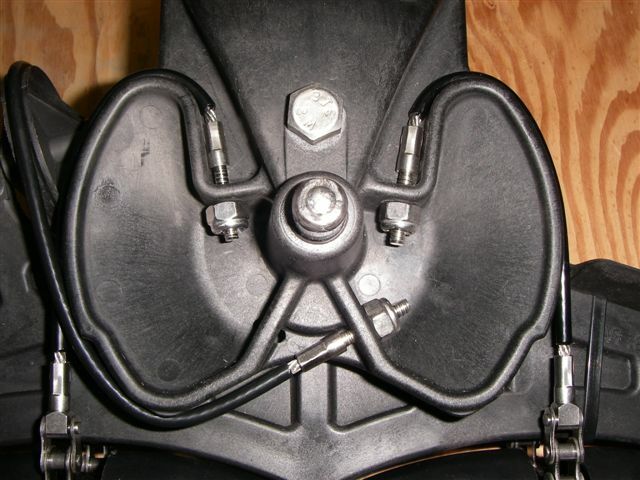 Install front and rear cable into upper drum slots as shown. It is easiest to angle cable in from the side. 5A. Slip cables over top lip and hand tighten new Nyloc nuts to keep cable from slipping out. 6A. 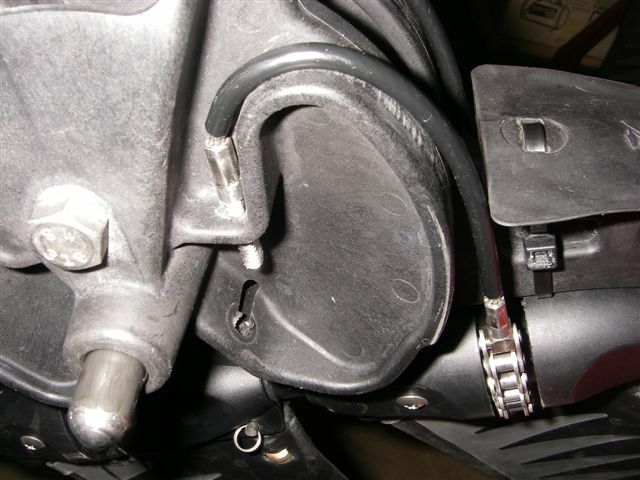 Insert idler cable into rear slot as shown. 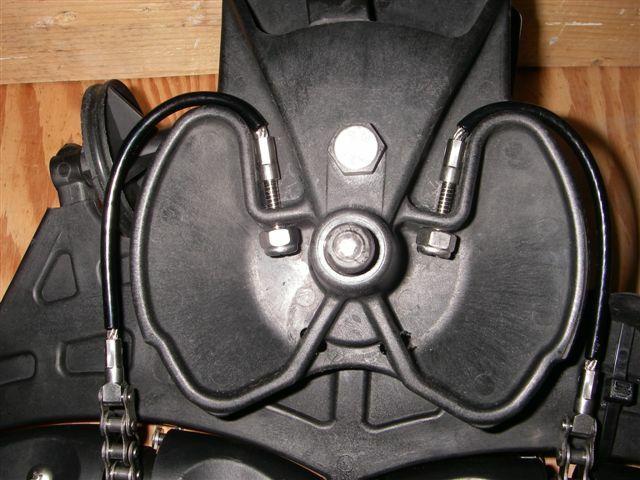 Note -- this slot is divided -- use outboard portion of slot. 7A. Flip drive over and repeat on other side. 3 B. 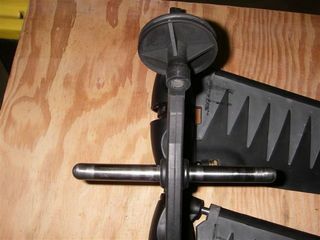 Secure Drive to vise by rear portion as shown. Use a rag in vise to prevent marks (rag removed for illustration purposes). 4 B. 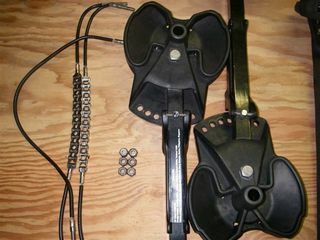 Mount both drum/crank arm assemblies to drum shaft, noting correct left and right side. 5 B. Mount the rear sprocket cable. 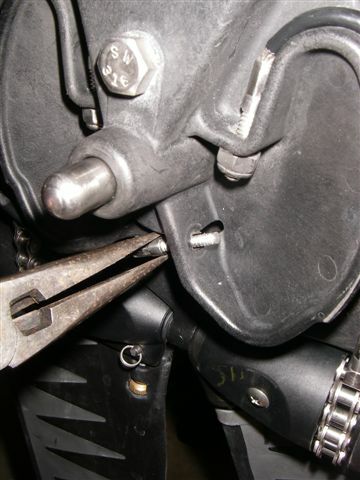 Note, the cable is first inserted from the side, with the help of needle nose pliers if necessary, then re-routed over the top lip of the drum. Hand thread Nyloc nuts enough to keep the cable from slipping out. 6 B. Repeat procedure with the front sprocket cable. 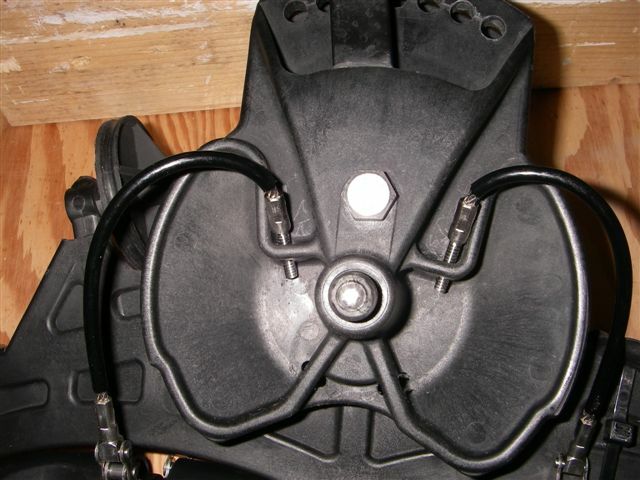 7 B. Insert idler cable into lower rear drum hole as shown. 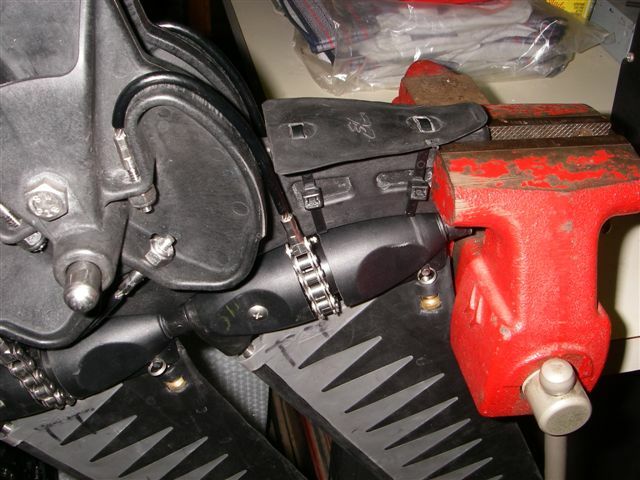 Note, the idler slot is divided -- use the outboard portion only. 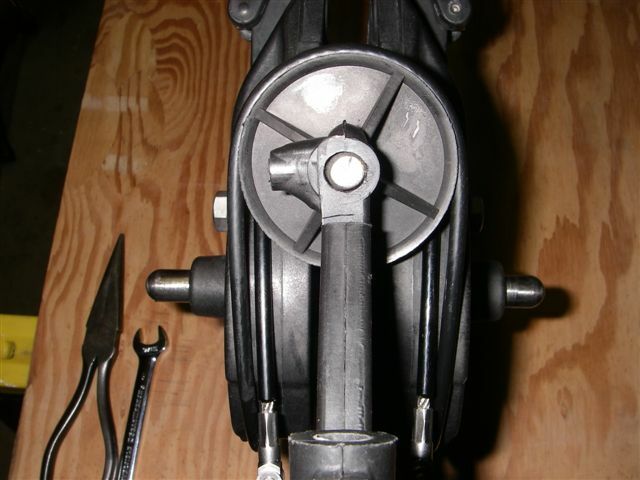 Re-check and adjust tension if necessary after the first use. 1. Cable wanders off drum. Cable is twisted. 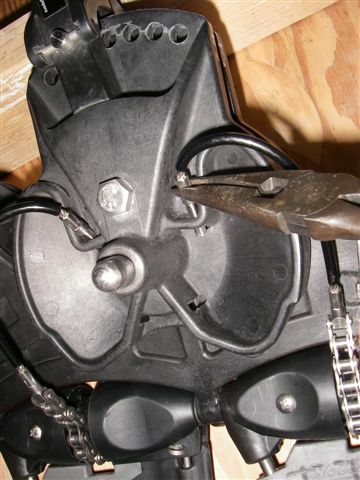 Remount, removing twist or warping cable toward inboard side of drum. 2. Cable appears to be uneven. Recheck center link of chain is mounted on center cog. 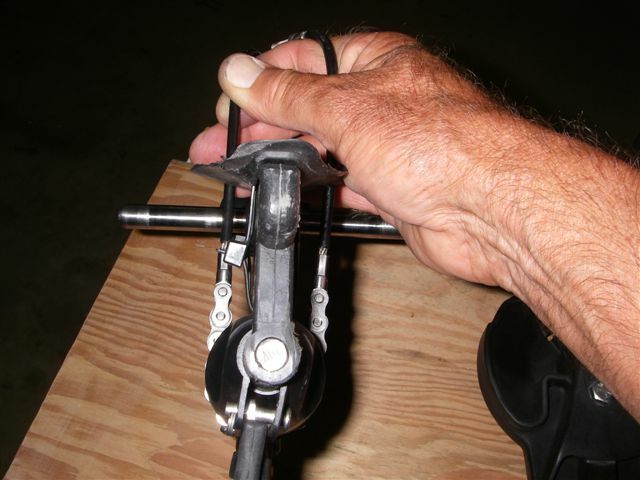 Make sure chain is fully pressed in, particularly the center cog.